We strive to be the highest performance industrial safety service provider. We are looking for individuals with an uncompromising commitment to our mission, vision & values — who are the very best at what they do. 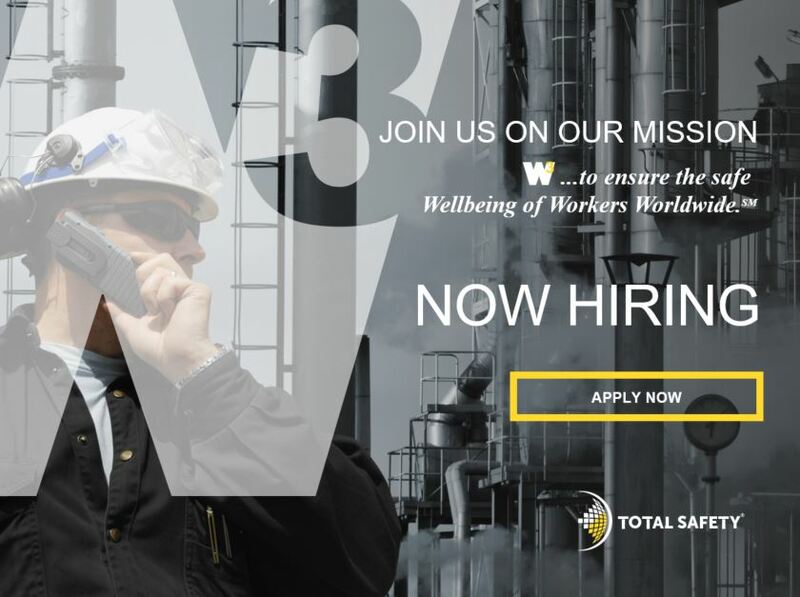 A career with Total Safety will expose you to exciting opportunities for advancement and will reward you with an excellent compensation package. We encourage you to explore the opportunities that await you with our fast-paced, rapidly evolving organization. To be considered for a position, the first step is to submit your resume or application, as well as any applicable certifications, licenses and/or professional references, online through our electronic form below. Once submitted, you will receive an email confirming that your resume or application has been received. A recruiter will review your resume or application and send to the specific hiring manager. If you share our passion for safety and for providing quality service, we’d like to talk to you! At Total Safety, our employees are our most important assets. They are committed to serving the customer and, in return, we’re committed to serving them. Benefit packages are discussed at the time of hire and are calibrated to the job description, type and title of position, and level of total compensation.